The perfect imagery, gripping copywriting, or a unique layout can put a spotlight on your Coming Soon page. An impactful page means greater engagement with visitors, more email signups and better marketing leads. With that in mind, today we’re going to share with you some of our all-time favorite SeedProd Coming Soon pages built with the Coming Soon Pro plugin. More importantly, we’ll tell you why we like them so much, and give you some inspiration for designing your own. Not sure what to do with empty space? Your Coming Soon page can have your graphical logo front and center as well in the background, really helping to tie things together. 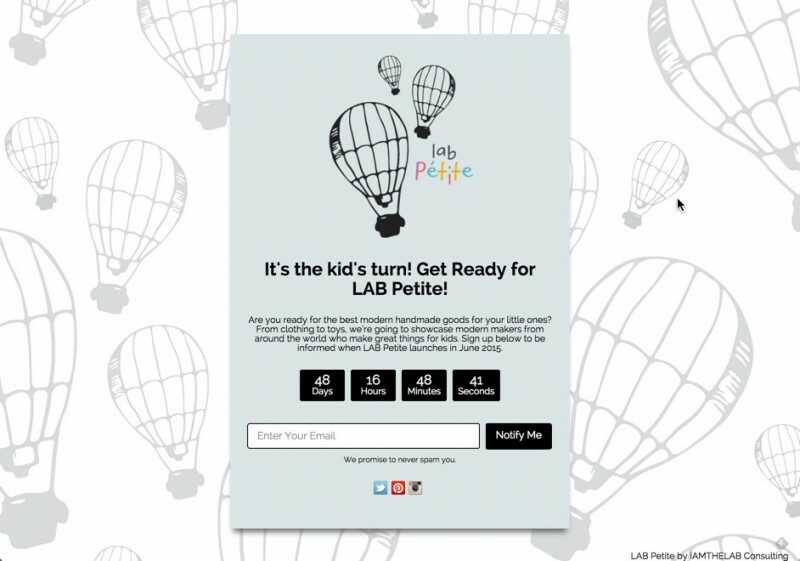 LAB Petite does just that with its whimsical hot-air balloon graphic. 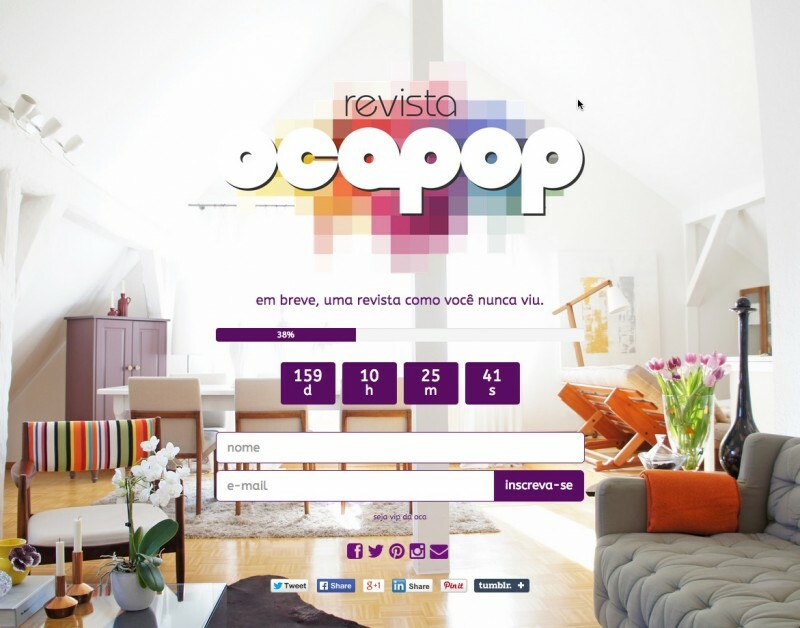 The content window balloons are sharp, with a colorful brand logo to the right, while the background balloons are arranged in a light grey wallpaper pattern. 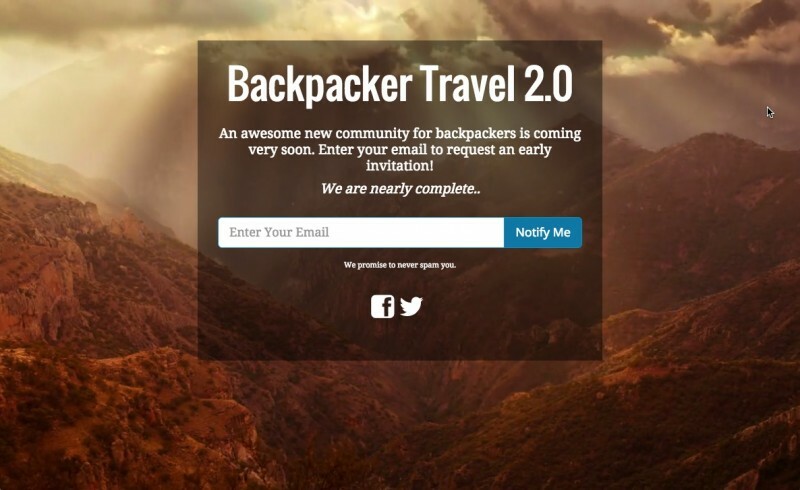 It’s a great idea to use your Coming Soon page to connect with your customers, and Fixers Travel is a great example. 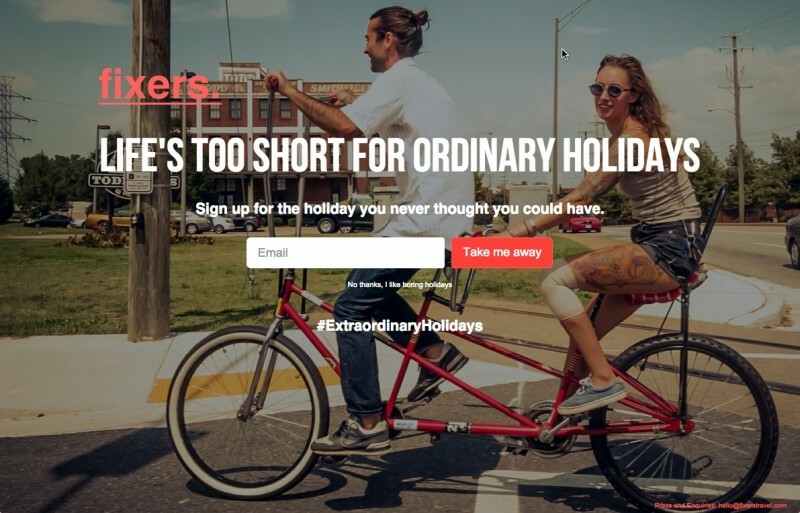 The travel startup puts all the emphasis on helping young travelers have an extraordinary holiday. Cinematic photography and bold copywriting help connect with the brand’s young, adventurous travel customers. Your brand name doesn’t have to be typeset in some standard format on your Coming Soon page. 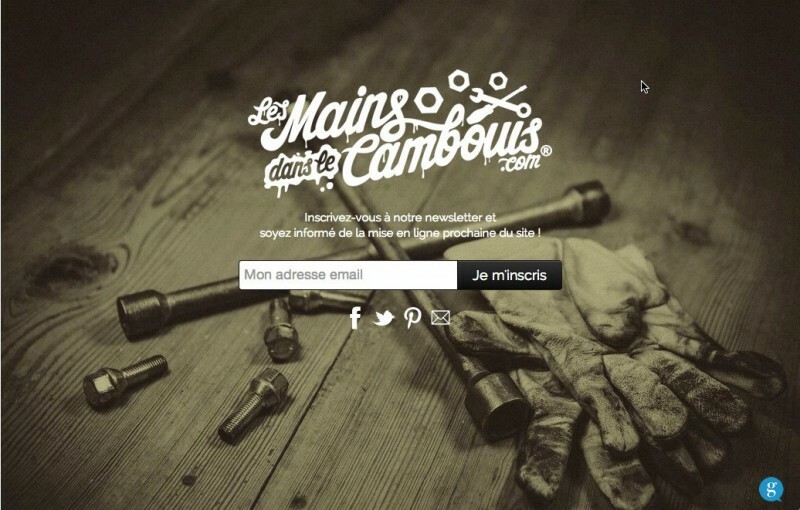 Les Mains dans le Cambouis takes this lesson to heart with their one-of-a-kind word logo. The logo is dropped in seamlessly on top of a gritty photo of tools and gloves, probably covered in cambouis (that’s dirty grease or oil for our non-French readers). 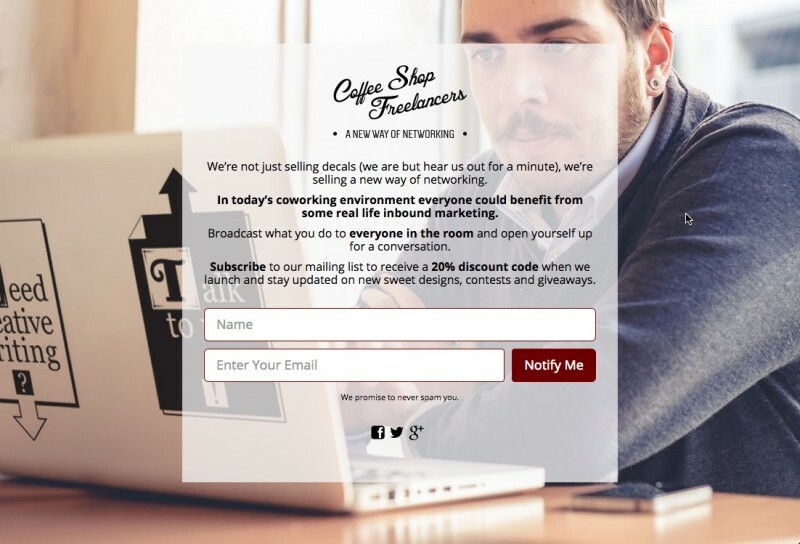 An email signup and social links round out the page, and give visitors more to interact with. 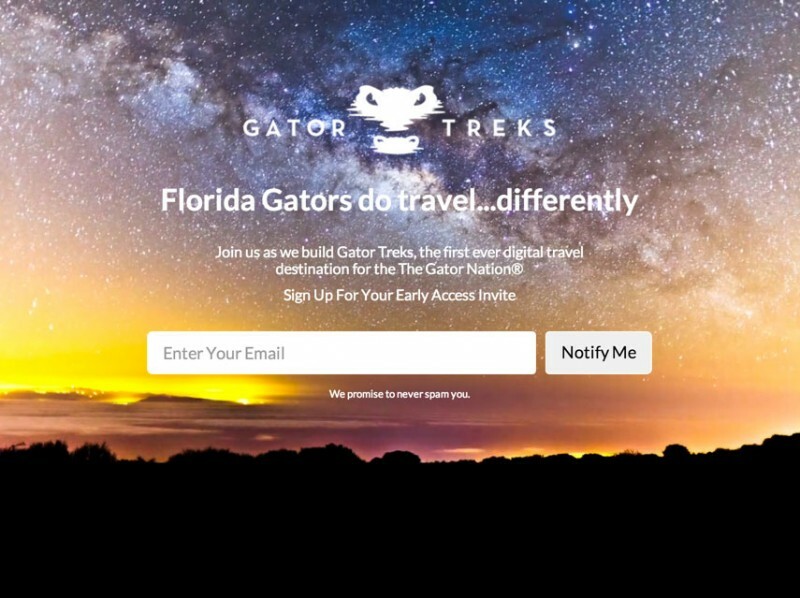 You can use your Coming Soon page to build excitement while offering an air of exclusivity, like Gator Treks does with its offer of an “early access invite”. The fun of being a first adopter can be a big draw for fans, especially if the fan is already part of a wider group. In this case, that’s the University of Florida Alumni Association’s Gator Nation. Sample content can be perfect to entice visitors. 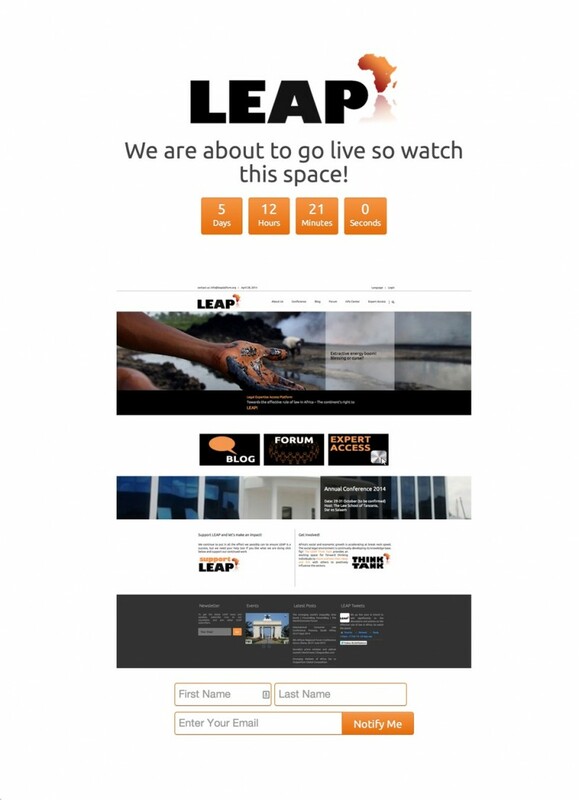 Your Coming Soon page could use a snapshot of your site under development, like LEAP does for its page. It shows your audience a sneak peek of what’s to come. 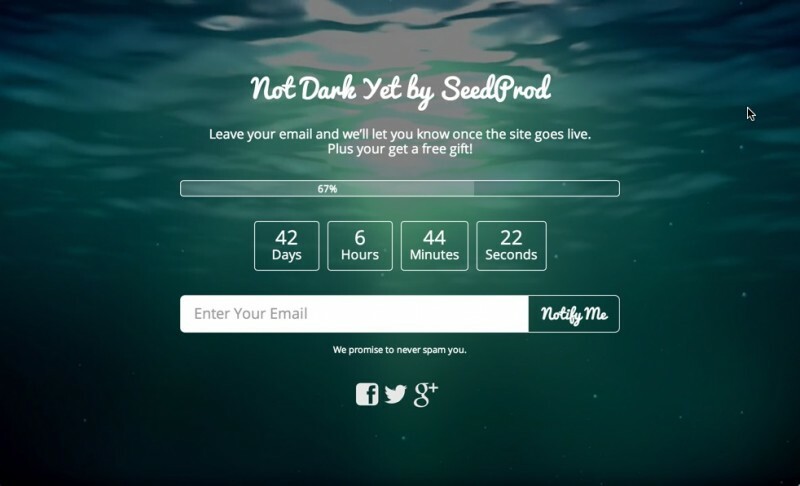 LEAP also has a countdown widget to let visitors know when the site will go live, and an email-capture signup to make it easy for new fans to be notified of the launch. Matching your color scheme to your brand is very important. 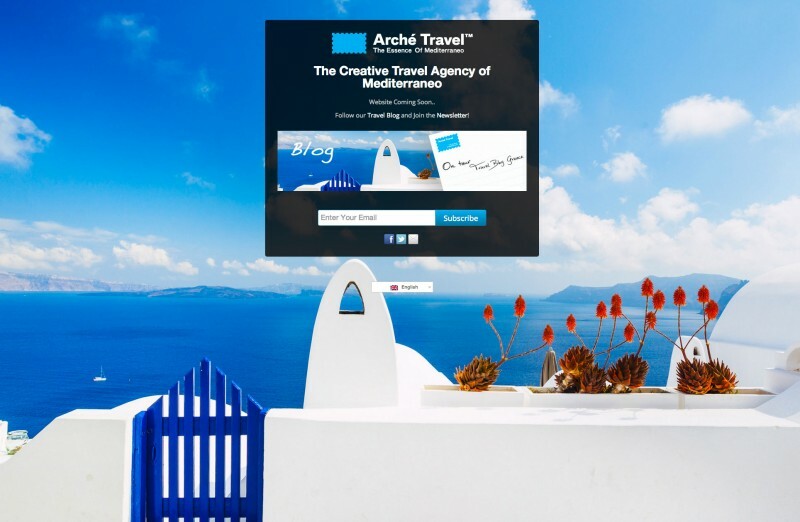 Arché Travel have sought inspiration from Greece, a land of crisp white buildings and blue vistas. Their Coming Soon page features a bright blue and white background picture, a smaller version of the same image in the content frame, a blue logo image, and a customized blue subscribe button. Sometimes you need more than one plugin running on your Coming Soon page. SeedProd’s Coming Soon Pro enables you to integrate your page with a number of other applications to suit your needs. 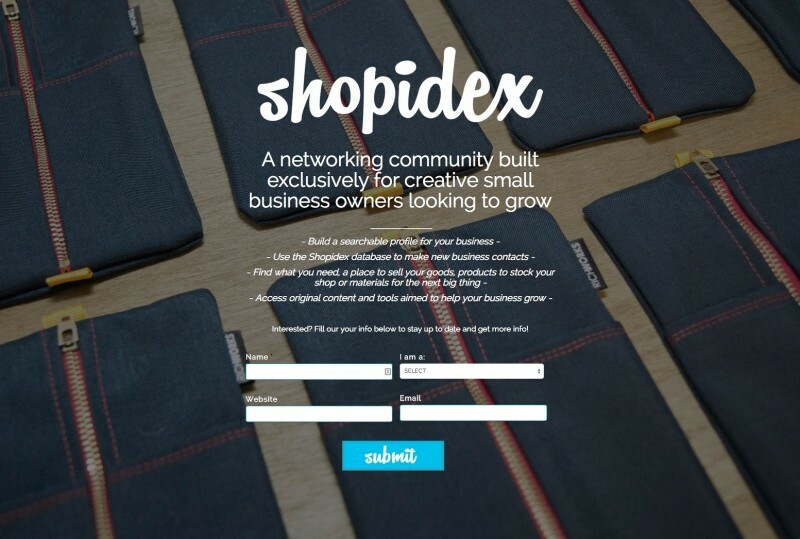 ShopIdex uses the Gravity Forms plugin on their page to collect more than just an email and preferred name, also asking for a website and information about the visitor’s type of business. Coming Soon pages do come and go, and sadly this site has taken theirs down. Maybe you need a more professional and streamlined Coming Soon page? 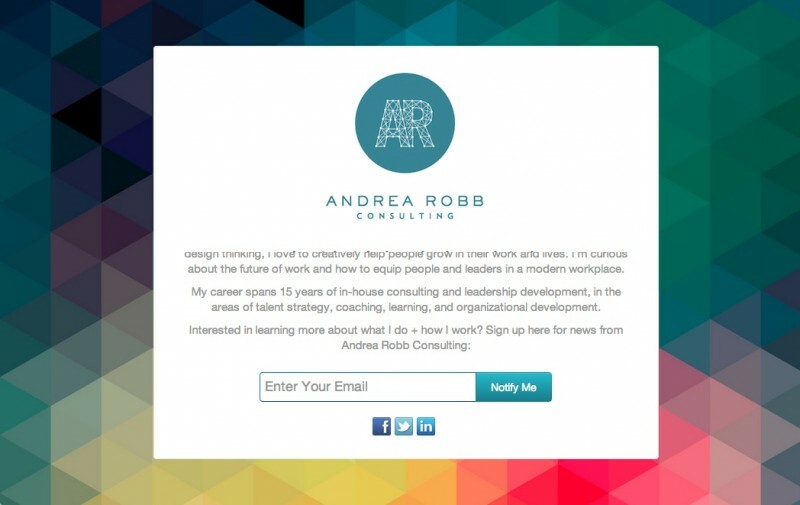 Andrea Robb Consulting’s page is a great example. The soft background means the focus is on giving a professional business pitch, and collecting customer email addresses to help generate leads. Sometimes you want everything on your Coming Soon page to blend together; bulky content windows need not apply. That’s what we did with our premium Coming Soon page theme, Not Dark Yet. You can overlay text right on your feature image or video with just a slight tint to the image to make your words pop, for a sleek and professional finish. Sometimes, you love your Coming Soon page’s imagery, but sans content box, your text just wouldn’t be legible to visitors. Backpacker Travel’s Coming Soon page handles this issue with a slightly translucent content window. Potential backpacking enthusiasts can read an enticing call to action (and then sign up) while enjoying a beautiful mountain vista. The success of your Coming Soon page may hinge on how effectively your pitch works on new visitors. If you can’t highlight the most important copy in your offer with eye-catching typography, your Coming Soon page might not deliver. Coffee Shop Freelancers knew how important highlighting their best features is, and Coming Soon Pro let them format their copy exactly how they wanted it. Say you’ve found the perfect imagery for your Coming Soon page, guaranteed to get followers to accompany you on your adventurous journey. The last thing you’d want to do is cover up such a striking visual with a dead-center call to action. 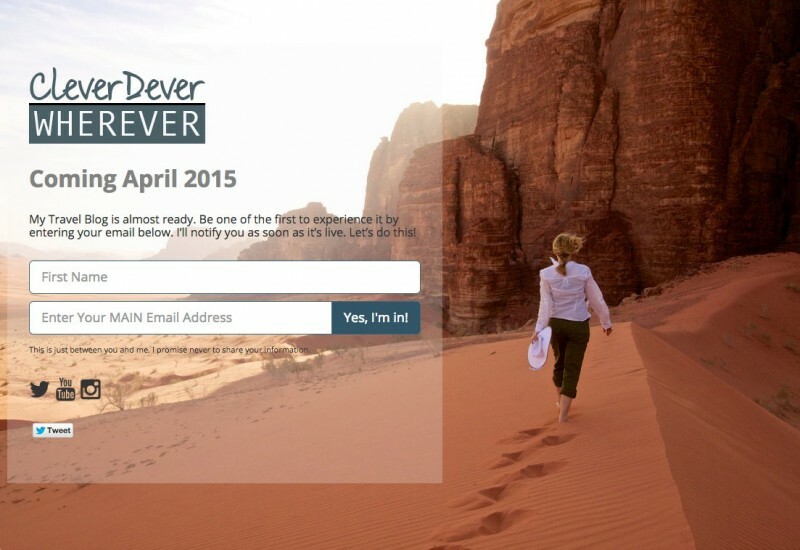 The page for Clever Dever Wherever takes advantage of Coming Soon Pro’s near-endless customization, arranging the content box on the left to leave room for a great center-right visual focus. Perhaps you don’t want your Coming Soon page to look like anything else out there. Sorellina used the Coming Soon Pro and Gravity Forms plugin to create a design that’s truly original, unique and perfectly suited to their needs. All the familiar elements are there – background image, logo image, content box, email signup, and social integration – but the resulting visual is completely original. Sometimes the best pitch you can make for your product takes the form of a video. 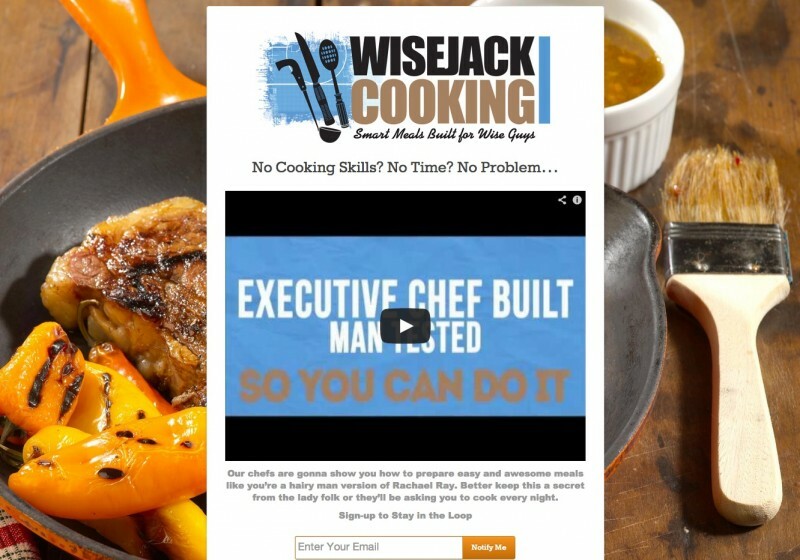 That’s the approach WiseJack Cooking takes with its Coming Soon page. An embedded YouTube video is front and center, to entice visitors into interacting with the page. After visitors watch the clip, they can sign up on the same page without having to navigate to anywhere else. 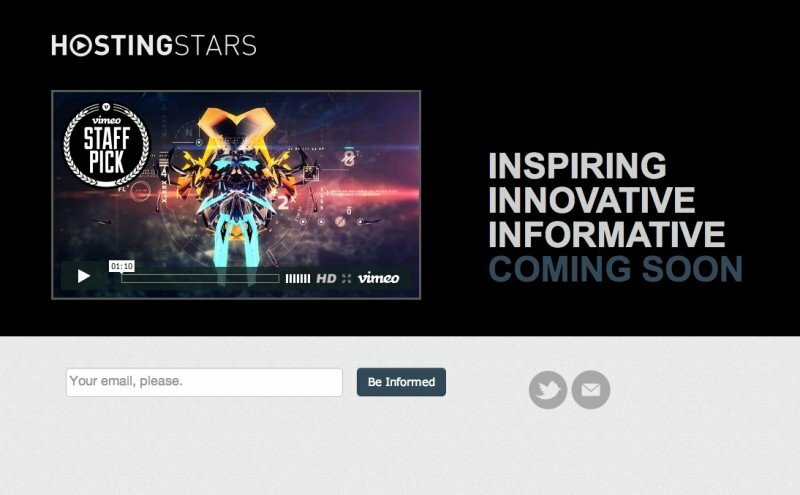 Hosting Stars took a slightly different approach when incorporating video into their Coming Soon page. A Vimeo clip is included in a larger format on the left of the page, while bold typography on the right tells visitors about the brand’s values. Email signup and social links are arranged in a custom layout below. Have somewhere else to direct your visitors while you’re busy working on your main site? You could use your Coming Soon page to send visitors to your other profiles while you clean up. 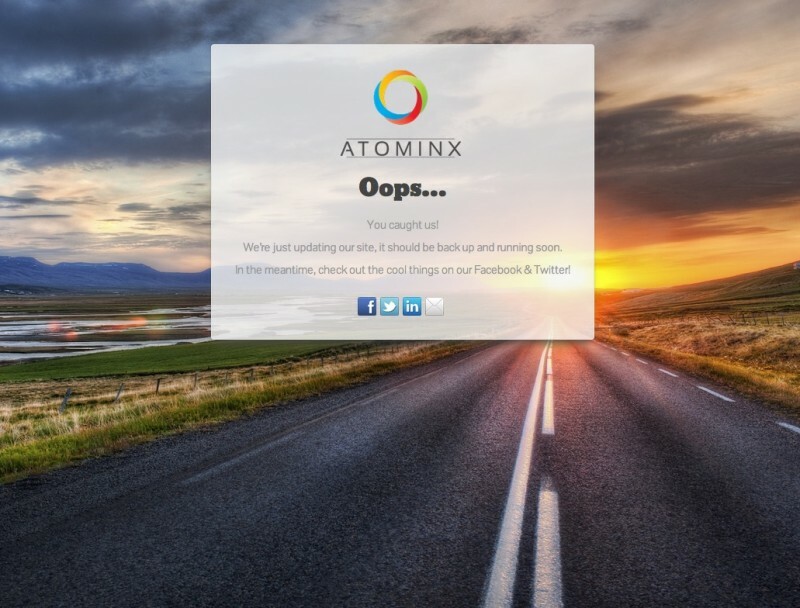 Atominx does just that with their Coming Soon maintenance page – their call to action directs visitors to their integrated social media pages right from the content box. Some designs need to exercise the utmost control over color to achieve the desired visual effect. The Astonishing Post did just that with a striking shade of pink. by using Coming Soon Pro’s color picker to choose just the right shade for their email signup button. The result is a perfect match with the page’s other pop of color, the eZine’s feature cover art image. It’s no secret that we absolutely love Revista’s Coming Soon page (after all, it’s our featured homepage visual). It just has so many great features tied together. The content fits perfectly over Revista’s featured image, with the logo filling an empty space at the top. Pops of color are everywhere, from the logo, to the imagery, to the page content. A really nice touch is matching the purple wardrobe with deep purple text, counter widget, and custom-colored social media buttons. 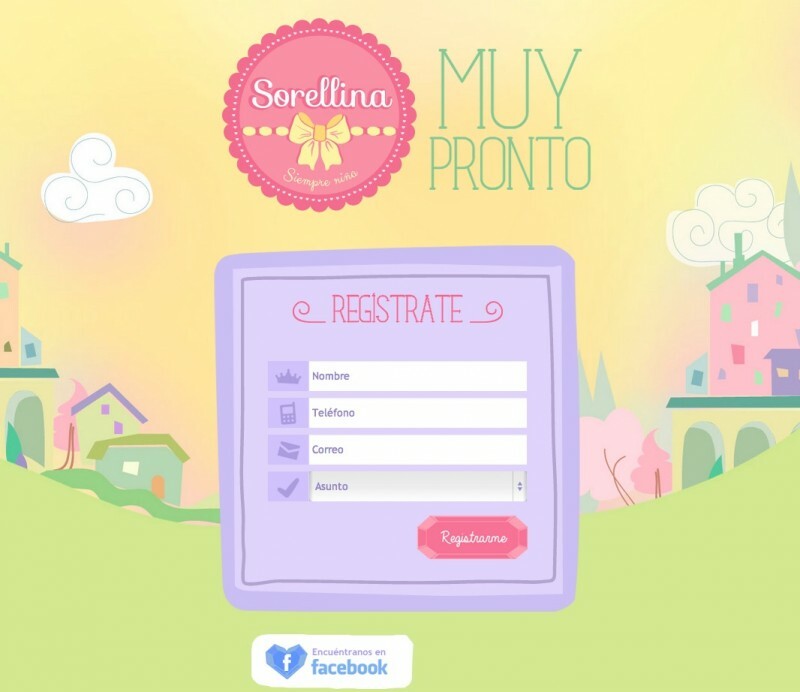 There are so many things you can do with your Coming Soon page to make it fantastic. From your visual choices to your layout, you’re really only limited by your imagination. Just keep in mind the basics – great imagery, strong copy, prominent social links, and enticing signup offers – and your Coming Soon page will go far. If you’re ready to build your own coming soon page, consider SeedProd’s own Coming Soon Pro WordPress plugin. Every example you see here was built with it. The great thing about Coming Soon Pro is how versatile it is. Each website owner started with the same plugin, but came up with amazingly different, unique, and inspiring coming soon pages. It’s hard to believe all these pages were built with the same plugin, but we’re so glad they were. What’s your favorite Coming Soon page design from this post, and why? Let us know in the comments! 2 thoughts on "18 Fantastic Coming Soon Pages and What Makes Them Great"
It would be nice if there was a sample theme database. So that you don’t have to do the complete design of the coming soon page as wel. I liked the Sorellina one. I wonder how much effort the designer put into this to make it such professional and beautiful.